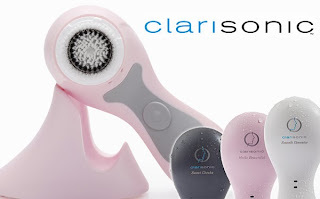 Obtain Clear Skin with Clarisonic! 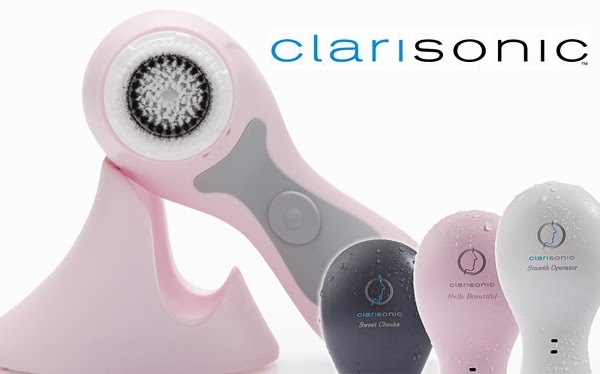 Revamp your skin with Clarisonic! Clarisonic established the sonic technology verified to lightly but still adequately alleviate dirt and oil to clear your pores. Utilizing the system for just one minute a day washes your face twice as efficient as standard cleansing. The product was formerly intended for skincare professionals to use during treatments but has now transformed the skincare industry. “Unlike spinning devices, our patented sonic cleansing technology works with skin’s natural elasticity, oscillating at a sonic frequency that produces over 300 movements per second. The resulting flexing action created between the outer and inner brushes works to loosen dirt and oil, removing deep-seated impurities from pores and priming skin to better absorb topical treatments,” according to www.clarisonic.com. There are numerous benefits to using the Clarisonic Sonic Cleansing. Some perks include removing 6x more makeup than manual cleansing, reduces oily areas, dry skin patches and blemishes, and diminishes the appearance of pores. It is recommended that you spend 20 seconds on your forehead, 20 seconds on nose and chin and 10 seconds on each cheek to obtain optimal results. There is clinical proof that Clarisonic improves elasticity in your skin after 4 weeks and has 61% greater absorption of Vitamin C after use. No matter your age or skin concern, the Clarisonic Sonic Method has a way to benefit you. Sonic cleansing helps build smoother, softer skin and primes the skin to be more responsive to anti-aging treatments if you are interested in minimizing fine lines and wrinkles. For enlarged pores and excess oil, the cleansing system lightly wavers back and forth to substantially flex the pores to break up captured debris and minimizes the pore’s appearance while eliminating excess oily patches. For people with acne prone skin and consistent blemishes, sonic cleansing helps unplug pores and boost absorption of acne skincare treatments. Clarisonic makes for the perfect gift for the holidays or begin your treatment to look revitalized at holiday parties! The Shaw Center carries various Clarisonic models and products. Call us at (480) 767-1900 for more information!